“Can I stay in during recess and work on writing?” This is not a usual phrase uttered in many elementary school classrooms and in fact, this is a phrase I’ve rarely heard in years prior to this one. However, this year these words are not uncommon, often asked by several students as we all get up from our share at the end of writer’s workshop and prepare to line up for recess. So, what was different about this year? Let’s go on a journey back to August, back to the beginning of a new school year with endless possibilities, fresh routines, new friends, and blank writers’ notebooks. I have the privilege of working on a grade level team of educators who are risk takers- we keep what’s best for kids in our forefront which drives us to always push ourselves to try new things and see what happens along the way. As we sat to think of the possibilities for writer’s workshop this year, we kept coming back to an idea that we really, really wanted to try in the past but just hadn’t quite figured out how to get it started ….independent writing projects, otherwise known as back-up work. 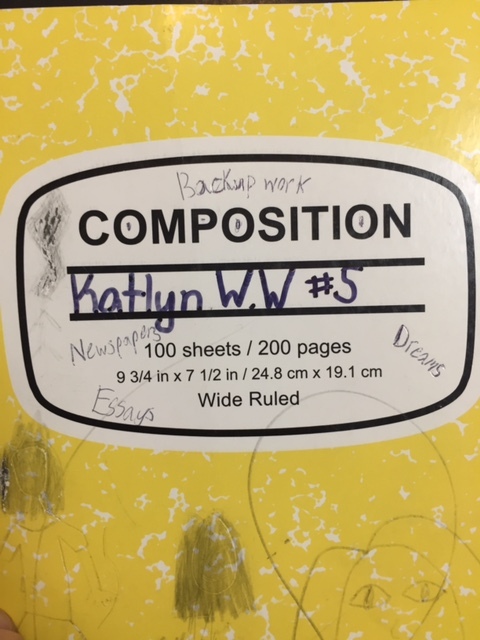 Katlyn created a writer’s notebook just for her back-up work. This was something that we had read about in STUDY DRIVEN by Katie Wood Ray and had learned about firsthand from respected literacy consultant, Matt Glover. We mulled over the idea for a few years, then after a visit from Matt last June, we knew we were ready to get this idea up and running in our classrooms. We knew the what: we wanted to give our students the chance to be adventurous as writers, explore new genres, to transfer old and new skills/strategies as writers, and to take hold of their writing lives. We wanted them to be self-directed in their process but the only holdup was that we were not too sure of the how. 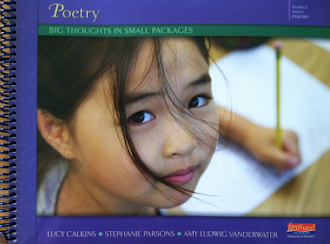 When thinking of how to launch writer’s workshop this year, we were guided by the words in Aimee Buckner’s NOTEBOOK KNOW-HOW: STRATEGIES FOR THE WRITER'S NOTEBOOK and Ralph Fletcher’s A WRITER'S NOTEBOOK. We wanted to launch the workshop in a new way with the focus being on the notebook. 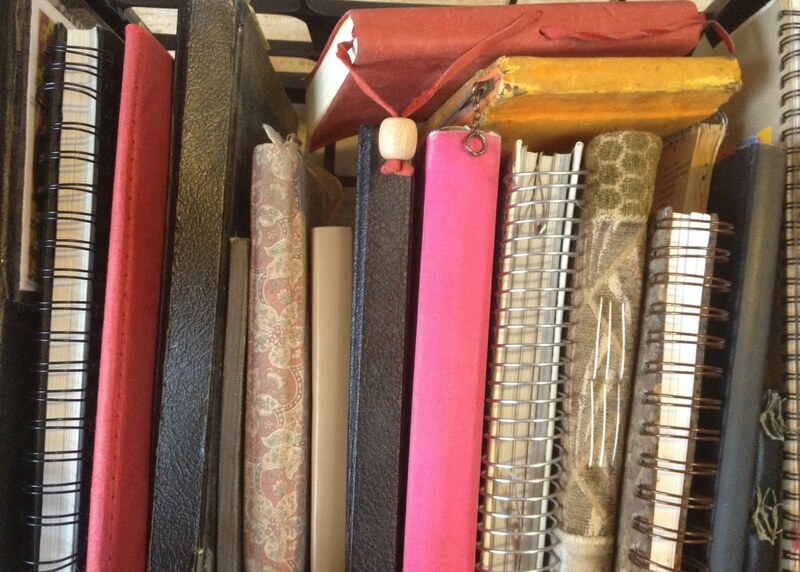 Notebooks had always been a pillar in our writer’s workshop, but they were not being used to their fullest potential. We wanted students to truly use their notebooks, not just keep one at school. We always hoped their notebooks would travel back and forth from school to home, on road trips, to holiday celebrations, etc. We hoped that their notebooks would brim with ideas for possible writing pieces, be a place they could turn to when no one else would listen, be a place for reflection, and even hold yearnings and desires for their futures. 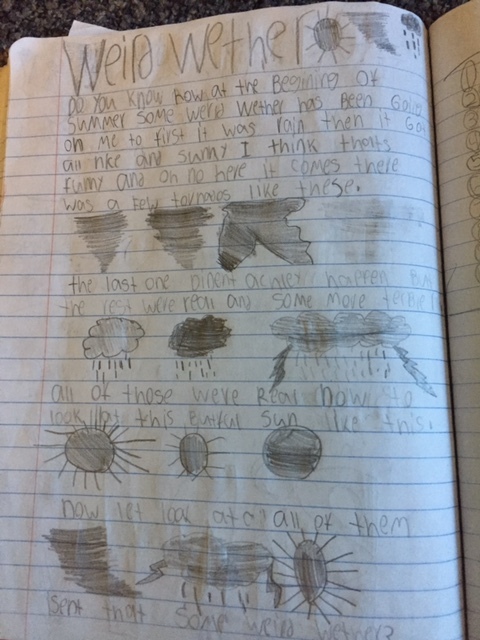 We wanted students notebooks to be a poignant and purposeful piece of their year as a 4th grade writer and beyond. Aimee Buckner’s launching strategies and Ralph Fletcher’s inspiring words gave us the springboard for creating a sacred place to house beginnings for countless future writing pieces and we just needed to give our students opportunity and time to explore themselves as writers, and back-up work was just that. and noticed patterns in both their own and each other's entries. It was a few weeks into the school year and we had begun to fill our notebooks with promising ideas. This lead to an a-ha -- why not let them take one (or several) of those ideas out of the notebook and use these as sparks for our students’ very first pieces of back-up work. 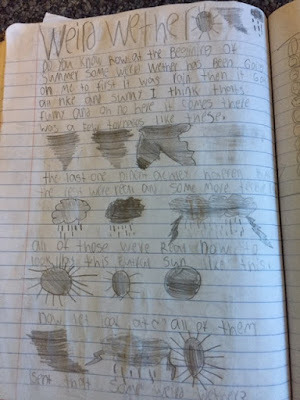 with examples from student’s notebooks. We invited students to choose an idea from their notebook that they had more to say about and from there, we nurtured this idea with focus lessons that centered around applying skills that they knew to use as good writers and focusing on their processes and reflecting as they worked through their own independent, self-selected pieces of writing. As a teacher, I choose to intentionally model with genres that I knew were not taught in our district's units of study. We wanted our writers to see the possibilities beyond the genres we studied. 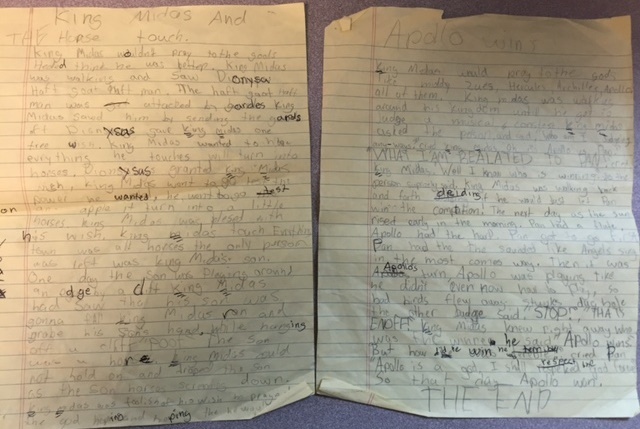 Of course, techniques and skills learned from those genres would transfer to back-up work, but we wanted writers to discover their “secret writing lives”- the kind of writing that kids often wished they could do in class, but couldn’t. 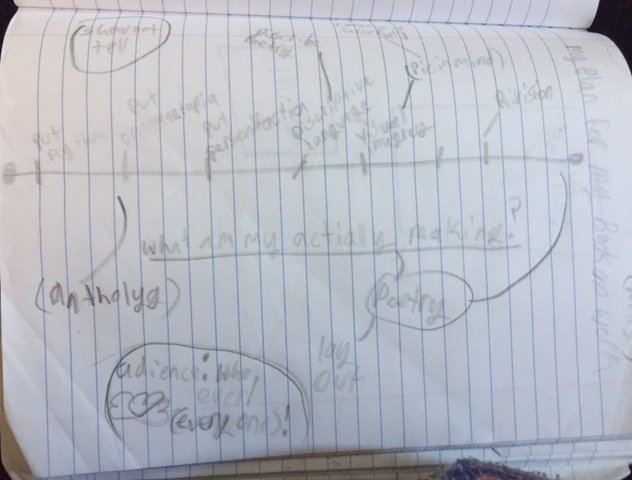 We wanted them to realize that they could be inspired by a new genre or an author’s unique style and make that their guiding force for a back-up piece of writing. We wanted this back-up work to be the writing they would turn to when they had time to work after an immersion into a new genre, when they had writer’s block, at home, or when they were working in self-directed time while guided reading groups were taking place. As the year progressed, so did our realization as teachers as to what this new opportunity meant to the writers in our classrooms. We saw writers taking risks, setting goals, collaborating, and truly living writerly lives. 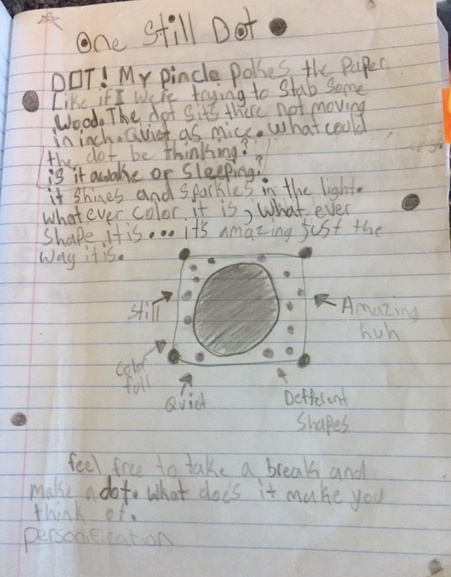 Peter H. Reynolds’ book THE DOT. Back-up work quickly fueled this writing energy in our classrooms that had never been felt before. Students were doing things like seeking out the music teacher to collaborate on a song and asking family members and neighbors for writing tips. Notebooks were being taken home and used more than ever before. Students were truly seeing themselves as writers all of the time and not just during our writer’s workshop block. We even held a back-up work writer’s celebration halfway through the year. which was part of back-up work. 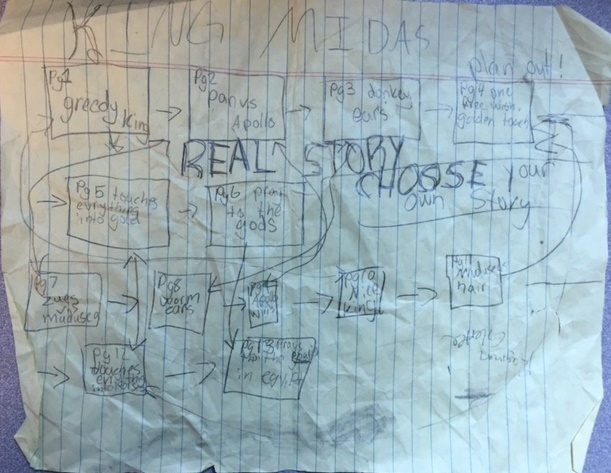 Kara wrote a play; auditions will be held during recess. The first performance should be any day now. Back-up work is a cornerstone of our writing lives now. Since jumping in and making back-up work part of our growing writerly lives this year, students have written numerous songs, become playwrights, poets, graphic novelist, started a school newspaper, written reviews, crafted “choose your own adventure” tales, written odes, comic books, greeting cards (which were briefly sold in our school’s front office), the list goes on and on. Students are even going to feature their back-up work in our school library for fellow students to check out! And as a teacher-writer, along with my teammates, I have worked on several back-up writing pieces of my own. Students have created back-up writing partnerships outside of their initial writing partnerships, and they have formed collaborative groups centered around creating a poetry anthology, a mini series, or just to bounce ideas off of one another. What is so amazing is that these collaborations are personal and purposeful. 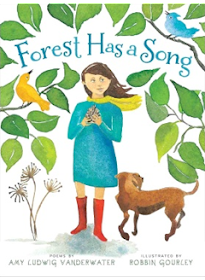 Students often sing their fellow writers' praises and choose to work with someone based on a strength that writer possesses or a shared passion for a particular genre. Reluctant writers are more motivated than ever- they work hard on our unit work because they know that they have their own writing life waiting for them. The transfer of skill and stamina to writing both unit work and back-up work by all writers is impressive, and growth is evident. to write a choose your own adventure story about King Midas. and was taken out of his notebook and to his drafting pad. As the teacher of these amazing writers, I cannot speak enough to how powerful it is to hear the hum of a room with students who have a true passion for writing. They continue to be just as passionate and excited towards their unit writing work, however seeing their eyes light up as they share a piece of back-up writing is really as good as it gets in a teacher’s world. who had some questions about the weather. As we approach the end of the year, I overhear my 4th graders questioning the 5th grade teachers in the hallway about back-up work and pleading that it has to be a part of their writing lives next year. I smile as I walk past because this too, is something I didn't expect to hear and it is music to my writing teacher ears. out of all things to thank me for, he chose back-up work. 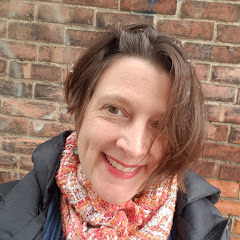 To learn more about about back up work, read this post by Dana Murphy at Two Writing Teachers. Katie Liseo is a 4th grade teacher in Kansas City, Missouri. 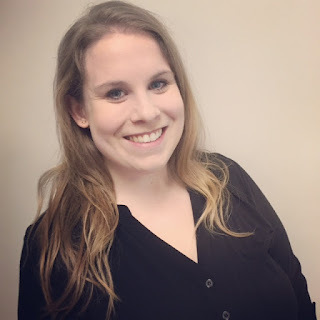 Katie has been teaching for 5 years and loves learning alongside each of her students and colleagues. She enjoys reading many education blogs such as: Two Writing Teachers, Indent, Edutopia, Mr. Schu Reads, and The Poem Farm. She also loves learning from all of the collaboration that takes place via Twitter (@KatieLiseo). When she is not nerding out on school related things, Katie enjoys hanging out with friends and her dog, Oliver. 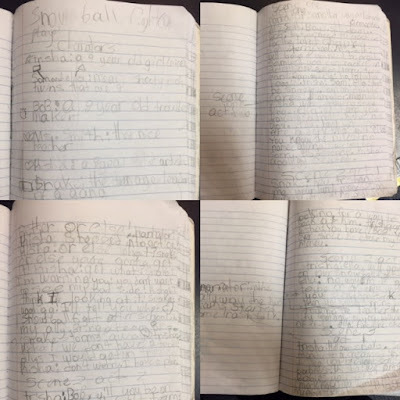 In honor of Katie Liseo and her students' inspiring notebook work, Sharing Our Notebooks will send a copy Aimee Buckner's NOTEBOOK KNOW-HOW: STRATEGIES FOR THE WRITER'S NOTEBOOK to someone who comments on this post. Please leave a comment, including a way of contacting you should you win, by Sunday, June 12, to be entered into the drawing. I have the pleasure of learning next door from these writers. It's been AMAZING getting smarter from Katie and her students. Back-up is needed in all classrooms!!!! As the soon to be 5th grade teacher of these amazing kiddos (and former 1st grade teacher of a few), I cannot wait to continue on with the amazing work these kids have done all year long. Your work has inspired writers to continue along the writing path no matter what else comes their way. Wow! Back up work sounds amazing. I'm switching grades from 3rd to 6th and have been wondering about writer's notebooks and how they don't get used as often as I'd like. I love this idea!!! I also admire that your team takes risks all in the name of what's best for students. Thanks for sharing! You have inspired me! Thank you for the peek into your classroom of writers. It makes me wish to be back in 4th grade. This is just amazing that it made me look back on my grade school days. I believe the young students nowadays are more privileged than we were, with the availability of modern technologies and tools for education aid and most especially the stylish teaching styles the more clever teachers are now implementing. It feels wonderful to have a glimpse where our future leaders are heading. With regards to improving their write up skills, teachers can use their original stuffs or get some help from educational supports groups and programs like essay writes, review of BestEssay.Education and anything the teachers can think about.